It’s a matter of pride for a woman when she gets pregnant. It seems to her as if she has attained the biggest gift of life. And its true too ! Being gifted with a baby and bearing his responsibility is a biggest gift and a challenge for a lady because it changes her life completely since from an independent lady she has to turn up into a responsible woman who has to bear the responsibility of her baby. 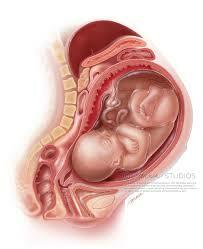 During pregnancy a woman needs to take utmost care of herself since it’s a matter of her baby too. If you want your baby to have a good health then you need to be responsible and take care of yourself. Just find out what you need to do to improve the baby’s health. Follow your heart and just go on. You are pregnant and after in a couple of months you’ll be the mother of a beautiful baby. Trust yourself that you can bear the labour pain because it’s a one time pain that will help you become a mother and its being said also that a lady is the most powerful person in this world since she bears all the pains still managing to lead a happy life. So just trust yourself and God and everything will be alright. Pregnancy demands lot of strength so you have to be strong enough to bear the labour pain.You can arrange all that strength by being active which means you’ll need to put on a good weight which will help you to have safe delivery and avoid the risk of mishappening. 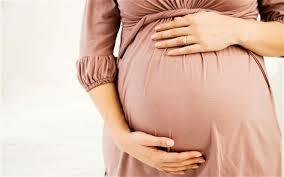 During pregnancy many changes comes in a woman’s life. Try to make it memorable by taking photographs or by writing down your emotions in a dairy and so on so that after a couple of years when you look at those pictures or read out that diary you can get back into flashback and live those moments again and you’ll feel cherished to know at that time how wonderful it was to be pregnant . You might get to hear from some neighbouring ladies some negative tales like “Oh you know Mrs. Verma she was pregnant and you know what happened to her she had a miscarriage “ or something like that which may afraid you. So don’t think negative, ignore it and just focus on the positive aspects and you’ll be blessed and will have a fantastic delivery. A happier woman is always blessed with a happy baby. So you need to be happy throughout your pregnancy time because you are going to see a miracle after 9 months. I know it’s a bit long time but don’t worry you’ll enjoy it and you’ll be well taken care of by your family members. So, Enjoy your pregnancy because it’s the most wonderful time in a woman’s life ! Womens Health health tips for pregnant women, Pregnancy Care, pregnancy exercises, pregnancy tips. permalink.